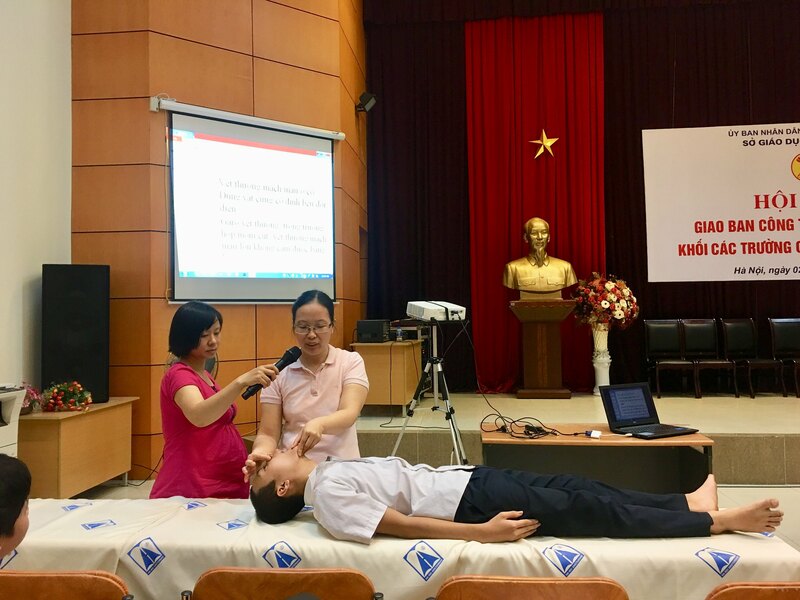 At 10:30 of November 21st, 2018 at the 200-Seat Hall of Hanoi -Amsterdam High School for the Gifted, a first-aid training session for high school students was held to provide basic skills on first-aid practices. 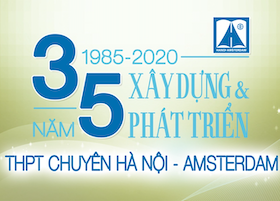 Beginning the session, Ms. Tran Thi Tu refers to dangerous situations that students may encounter such as insects, animals bite, bleeding, hot/cold burns and electric shock. Thanks to the session, students were able to acquire knowledge of the symptoms and solutions in these cases. The session provided students with more than just mere knowledge, as students were guided to put theory into practice. 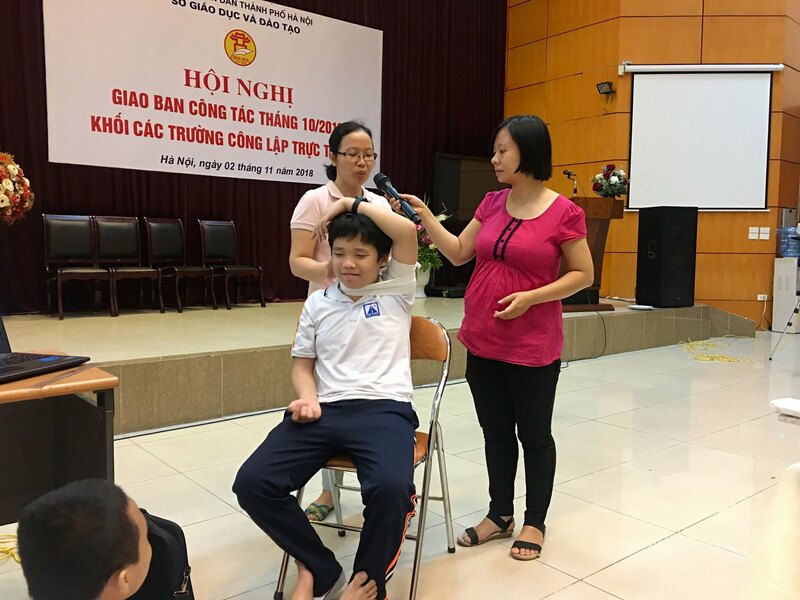 Ms. Tu has devotedly conveyed the helpful knowledge to help students understand and fully proceed with the procedures of first-aid in real life for patients such as: first-aid for the respiratory system, bandaging, treating wounds and so on. 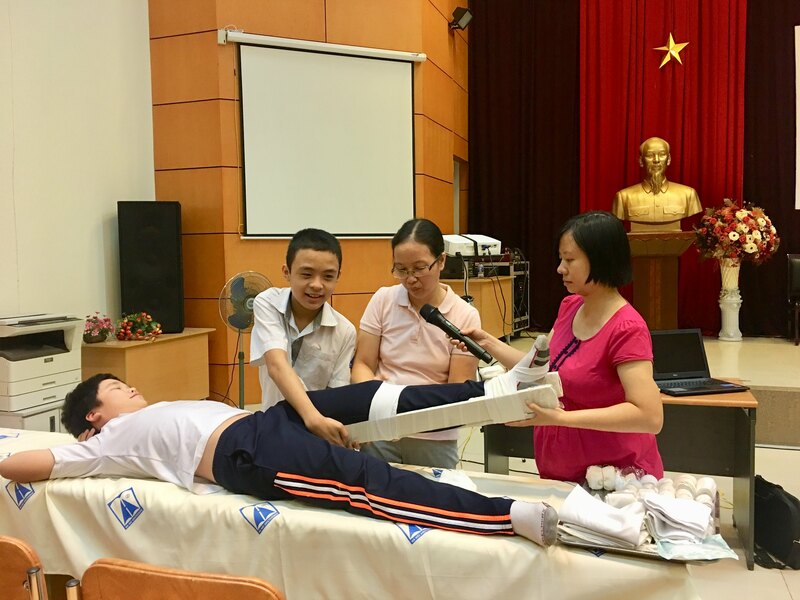 The students directly experienced and practiced the first aid skills of preventing bleeding and casting fractured legs. 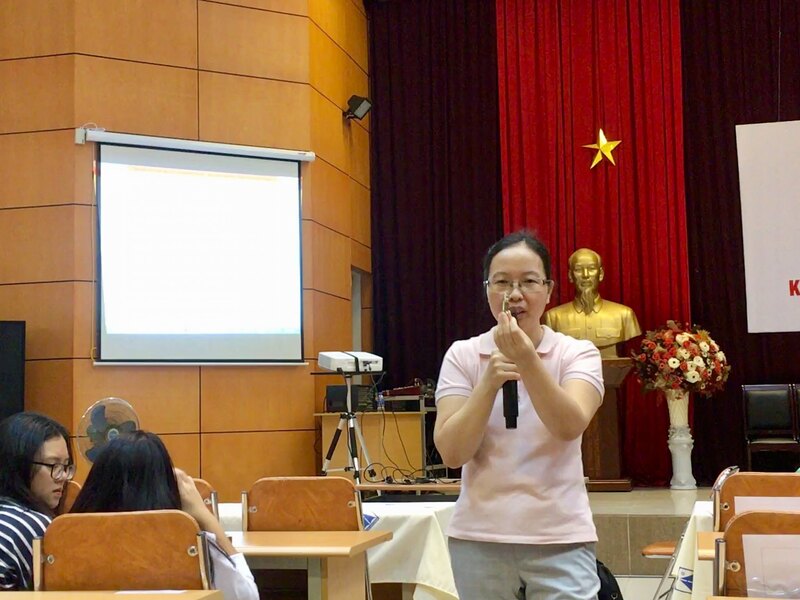 The content of the training session was much concentrated on helpful, practical and applicable skills. 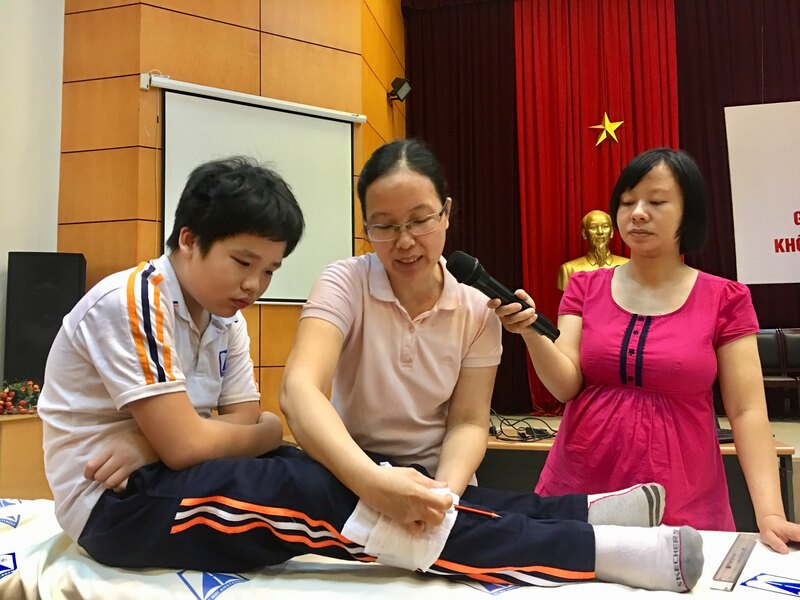 This was a great occasion for students to be provided with knowledge and experience to further apply first-aid skills to life and reduce the risk of injuries for themselves and their community.